Alexey Lastovetsky holds a PhD degree from Moscow Aviation Institute and a Doctor of Science (Habilitation) degree from Russian Academy of Sciences. His main research interests include algorithms, models, and programming tools for high performance heterogeneous computing. He has published over 150 technical papers in refereed journals, edited books, and international conferences. 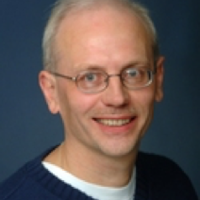 He authored the monographs "Parallel computing on heterogeneous networks" (Wiley, 2003) and "High performance heterogeneous computing" (with J. Dongarra, Wiley, 2009). He has supervised to completion 16 PhD students. He helped organise in various capacities over 250 international conferences. He has won over a dozen individual research grants, including three prestigious Science Foundation Ireland Investigator awards of a total value of more than 3.5 million euro. He is currently Associate Professor in the School of Computer Science at University College Dublin (UCD). At UCD, he is also the founding Director of the Heterogeneous Computing Laboratory (http://hcl.ucd.ie/).